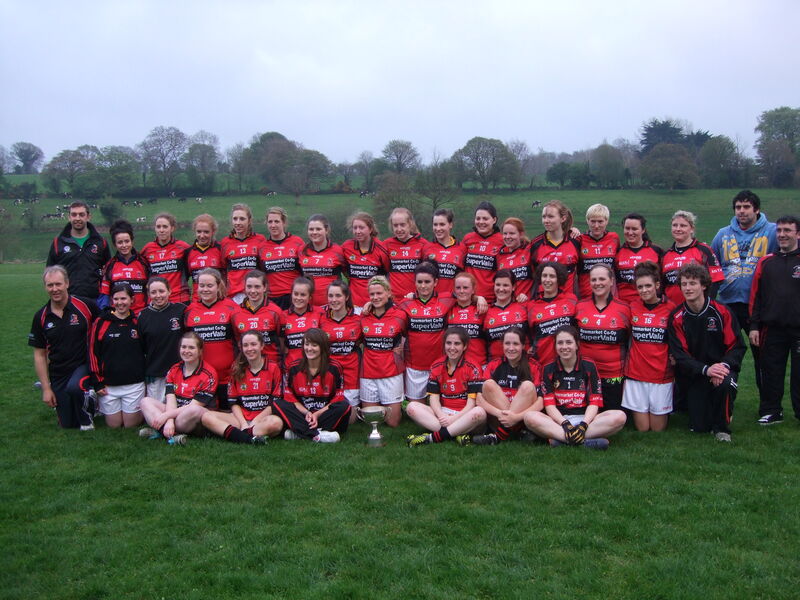 Newmarket 5-9 Keelnameela 5-6 (Match Report and photo courtesy Catherine Newman,Newmarket) Newmarket are the proud winners of the County Junior Ladies League Final against Kilnameela which was played on Monday 6th May in Carrighadrohid. This was an extremely exciting, high scoring, competitive game where both sides battled to the final whistle which ended with a final score of 5-9 to Newmarket 5-6 to Kilnameela. Lisa Gillman opened the score for Newmarket in the 5th minute with a point, followed in the 7th minute with a goal by Christine O'Connor, Lisa Gillman got the next goal in the 8th minute. Clodagh Walsh scored the next goal in the 15th minute, followed by a point by Clare Meehan and Catriona McCarthy finished the first half with a goal in the 29th minute to break at half time with a score of Kilnameela 2-5 to Newmarket 4-2 Catriona McCarthy started the second half with a goal in the 32nd minute, followed in the 33rd minute with a point by Lisa Gillman. 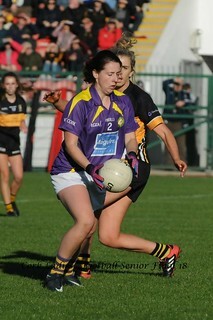 Clare Meehan was the next to score a point in the 40th minute with Lisa Gillman scoring the next 2 points. Kilnameela were awarded a penalty which gained them the score to level the game. All was to play for but Lisa Gillman added a point in the 57th minute of the game followed by a point by Mirika Cottrell and a final point in injury time by Lisa Gillman. These scoring players received tremendous support from every corner of the field from the goalie with some magnificent saves to every back, centre-field and forward player on the pitch. A parade was held through Newmarket town to celebrate this fantastic achievement. The Trainers: Pat Flanagan, Gerry Meehan, Robert Stack, Dave Quinlan and John Lane. 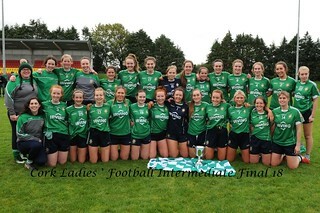 The Team: Aoife Murphy, Orla Kelleher, Laura Guiney, Patsy O'Reilly, Ciara O'Sullivan, Clare Murphy, Clodagh Walsh, Caoimhe Meehan, Christine O'Connor, Catriona McCarthy, Clare Meehan, Honor O'Flynn, Lisa Gillman, Becky Murphy, Brenda Hourigan, Siobhan O'Sullivan, Marie O'Leary, Megan Culloty, Mirika Cottrell, Edel O'Sullivan, Helen Guiney, Mairead Weathers, Sinead Daly, Siobhan O'Leary, Joanne Kiely, Karen Field, Erin Molloy, Kate Sheahan, Moira O'Keeffe, Siobhan O'Connor, Karen Fitzgerald, Patricia O'Keeffe, Theresa O'Keeffe, Lauren Flanagan.